A solution to your dwindling dinner budget. Braising, in my opinion, is the best way to cook a cheap selection of meat. It involves a three-step process: browning the meat, creating a simmer sauce, and then the easiest part of all: braising it. 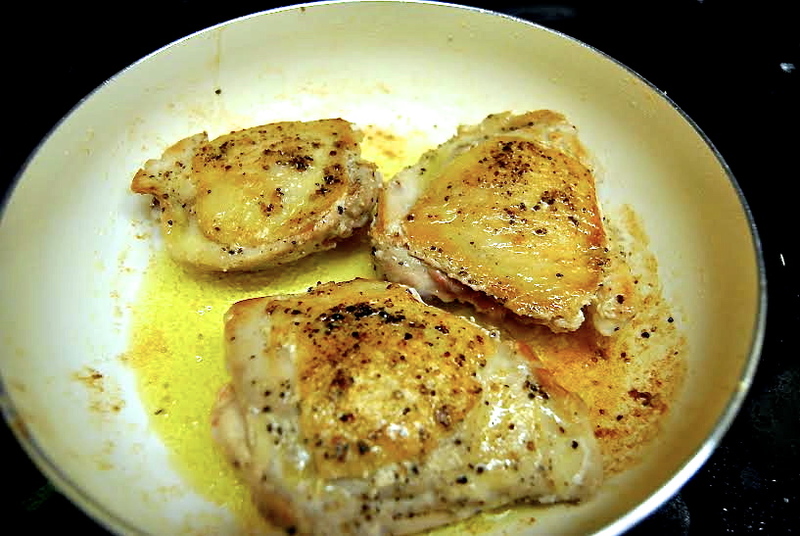 By browning a cheap selection of meat such as chicken thighs, the outside takes on a golden brown color while sparing the inside to be slow cooked in the delicious sauce. If you’re curious, Bon Appétit also offers a comprehensive guide to braising here, a great guide if you want to wing your own recipe with what ingredients you have on hand. 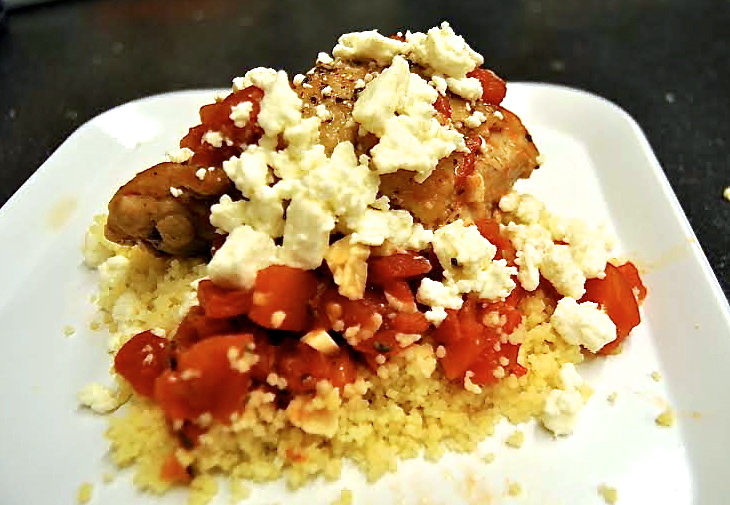 The beauty of this recipe in particular is its simplicity. I usually add some bell peppers and spinach, and almost always increase the garlic to 9 cloves at least (just because I’m garlic-crazy like that).This is an excellent fall recipe, and my go-to for when I’m staying in to study and craving a comforting, cheap, and healthy meal. I also use whatever starch I have on hand as a bed for this dish: brown rice, quinoa, egg noodles, and my current obsession: cous-cous. 1. Allow at least 30 minutes for the chicken to come to room temperature. 2. 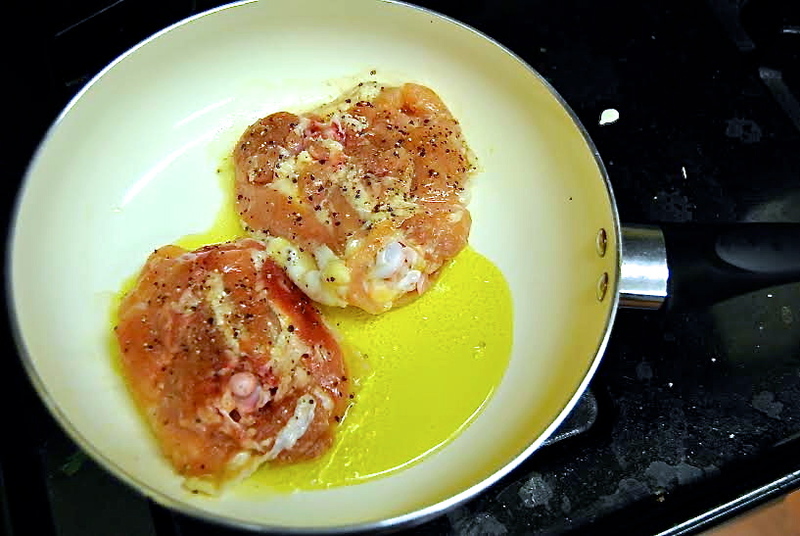 Put a large skillet over medium heat and add about 2 tablespoons of olive oil. 3. Season the chicken with salt and pepper and cook until browned, about 5 minutes per side. If at any point you feel as though the pan is low in olive oil, add a little more to barely cover the bottom of the pan, allow it to heat up, and continue browning. 4. When finished, pour out the contents of the juices left in the pan, but leave a pinch left (weird I know, but makes a world of difference flavor wise). 5. 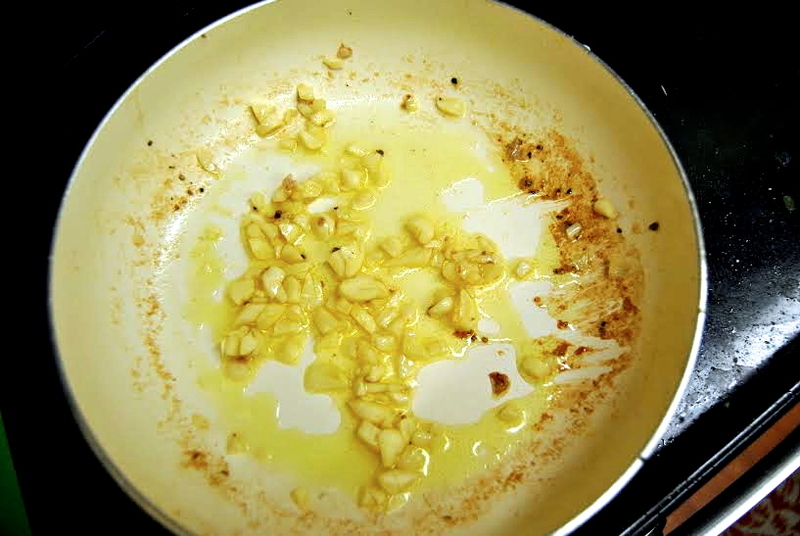 Turn the heat down to medium-low and dump your garlic in. Stir it continuously, scraping up all the browned bits leftover from the chicken. 6. When it really starts to smell like you’ve landed in garlic heaven, add the canned tomatoes and chicken stock. Give it a stir, add a pinch of salt, and add the thyme. Turn the heat back up to medium and bring the mixture to a simmer. 7. Once you’ve got some nice low bubbles emerging, add the chicken back to the pan and nestle them into the sauce skin-side-up. 8. 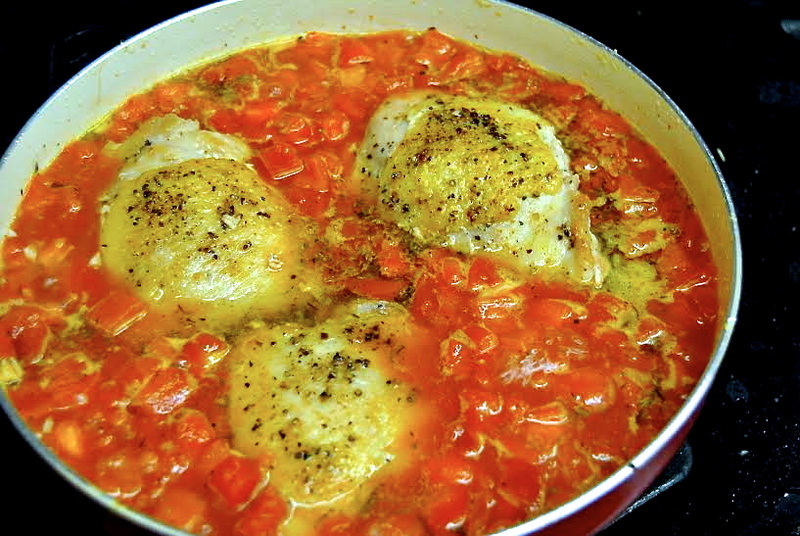 Put the lid partially back on the pan so that the heat can escape and prevent the mixture from boiling– we want the chicken to cook low and long, about 30 minutes. 9. Take a thigh and cut through the center to ensure that it is cooked through. If I have feta on hand I like to garnish it with that. Taste for salt and pepper, serve over a bed of rice, and enjoy!